What do you think of this small underwater cave? 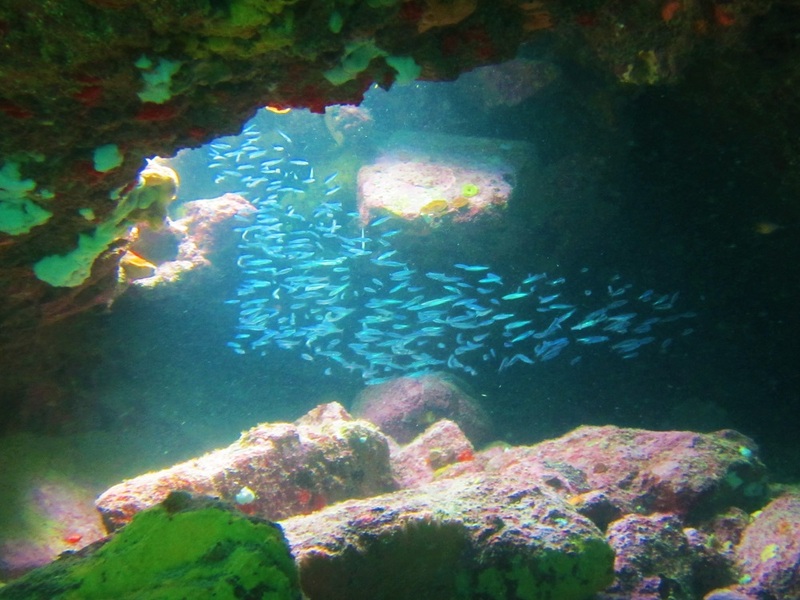 I love how these minnows are schooling in the ray of sunshine in this cave. This was on the south side of St John at Tektite Point. I can’t remember if I took you there or not, but I don’t think we did anything on St John. beautiful!! where is the cave? miss the adventures with you shane! Hope all is well.